Editor’s note: FHA rolled back this proposal, and FHA mortgage insurance did not change from previous levels. To see current FHA insurance premiums, see our FHA loan page. 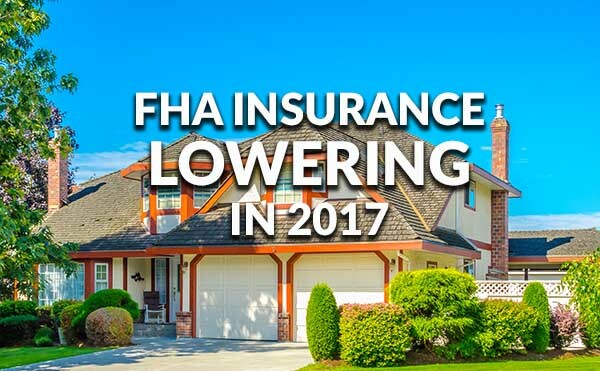 The FHA is dropping their monthly mortgage premium insurances to their lowest levels in nearly a decade, effective January 27, 2017. The decision will save the average home buyer $500, making home buying a more easily affordable option over renting. The current mortgage insurance premium (MIP) is 0.85%, but the FHA’s move will lower premiums by one-quarter of a percent to 0.60%. This decision is meant to make FHA loans a more popular option for home buyers. 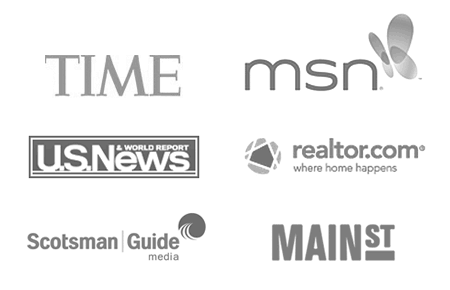 Click for a free FHA rate quote. Insurance premiums on FHA loans were rising after the financial crisis of 2007, and home buyers opted for conventional loans over FHA to save money. As the economy began to stabilize, the FHA stopped increasing the rising MIP rates and waited for economic conditions to recover. Now that the economy is healthy, the FHA has lowered monthly MIP rates to just above their lowest levels of the past decade. Click to check your FHA eligibility for free. By reducing MIP payments, the FHA is trying to attract more home buyers to use FHA loans. FHA loans already have low requirements for qualifying credit scores and downpayments. For the past five years, FHA loans were made more expensive by relatively high MIP payments. Now that they’ve been reduced, FHA can more easily compete with conventional loans. According to the US Department of Housing and Urban Development, the reduced MIP rates will save homeowners an average of $500 annually. However, savings will depend on the size of the loan. For example, on a loan of $250,000, homeowners would save $625 annually due to lower MIP rates. This saving is large enough that many home buyers could now become eligible for an FHA loan. Savings increase the higher the loan amount. On FHA loans worth more than $625,000, homeowners will save at least $2,812 a year, or over $230 each month. To qualify for an FHA loan, home buyers must meet debt-to-income (DTI) limits and make a downpayment of at least 3.5%. By reducing monthly MIP payments, it will be easier to qualify based on DTI while saving money that can go toward a downpayment. Depending on the size and downpayment of an FHA loan, the monthly MIP rate could change. It can also change depending on whether your loan term is greater than 15 years. While the most common option is a 30-year FHA loan with the minimum downpayment of 3.5%, others may find that a different downpayment with a larger loan size may fit their needs best. Check FHA eligibility in minutes. Historically, FHA MIP costs have been rising. However, the monthly MIP rate has been declining for the past few years, and now they’re practically on par with their pre-recession levels. High monthly MIP payments deterred home buyers from using FHA loans. Now that premiums are near their lowest levels, home buyers who might not qualify for other loan programs could now afford FHA loans. When Do FHA MIP Changes Go Into Effect? MIP rates will reduce on loans closed on or after January 27, 2017. Home buyers that apply for an FHA loan today will likely see their loan closed after that date. That means that home buyers can already start to take advantage of MIP changes. FHA loans are also known for having some of the lowest available mortgage rates. FHA rates consistently beat conventional loan rates, and now that monthly MIP is reduced, and FHA loans could be the best available option for a number of home buyers. Click to check your FHA loan eligibility.